Following the launch of the 2014 Tour de France route on Wednesday, the countdown to Yorkshire’s Grand Depart is on. To celebrate the world’s biggest cycle race coming to Yorkshire, a special Festival of Cycling is to be held over July 4-6 at Harewood House. The Tour peloton will be passing through the grounds of the great house on July 5, with the riders stopping outside the house for a brief spell before racing towards Harrogate. The Festival will offer an array of entertainment, shopping, hospitality and cycling participation events, as well as big screens to watch the UK stages of the Tour unfold. There will also be space for 50,000 people to camp in the grounds, as well as unlimited parking. It’s an autumn of contrasting fortunes for two of the UK’s continental teams. Whilst Team UK Youth are on the brink of folding, new boys NFTO are assembling their squad for next season. Time appears to be running out for UK Youth to find a new sponsor, after owner Nigel Mansell announced that the charity could no longer afford to remain as the sole sponsor of the team. Four of the team’s riders have found homes for next season, with James Lowsley-Williams, Jonathan Mould and Joshua Hunt signing for NFTO, while Chris Opie joins Rapha Condor-JLT. However, the UK’s number one ranked rider in 2013, Yanto Barker, remains in limbo. 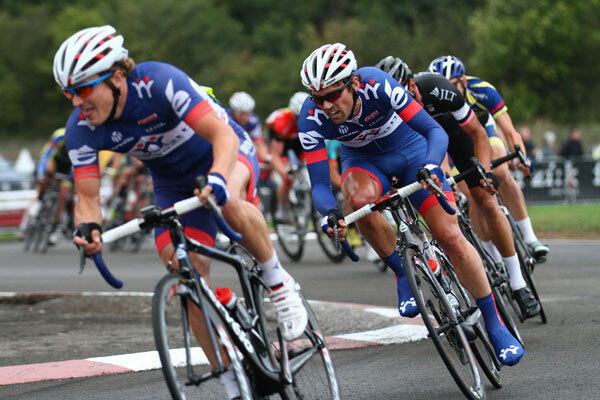 NFTO on the other hand are strengthening their criterium squad for the 2014 season. BMC’s Adam Blythe joins the Downing brothers, Russell and Dean, as well as Lowsley-Williams and postman Ryan Bevis, who booked his place on the team this week. One of the biggest coupes for the new team, however, is the signing of former Team Sky man Sean Yates as director sportif, and NFTO also joined up with Trainsharp to get them in racing shape for the new season. With the National Championships being held this Sunday, the hill-climbing season is winding down for another year. There are still, however, a handful of races being held across the country over the next few weeks to send you contently into the winter. The students will be out in force on Saturday October 26 for the British University and College Sport (BUCS) championship in Curbar, Derbyshire, with action kicking off at 12.15. Jake Hales of the University of Bedfordshire is the last rider off for the Southern division at 2.45, whilst Andy Nichols of the University of Sheffield is the last man off in the Northern division at 5.15. On November 3, Dorking and Redhill CC are debuting their innovative new hill-climbing format at Denbies Vineyard, which overlooks Box Hill. The elimination event is split over multiple rounds, the first of which being a traditional hill climb, with the top 16 riders progressing to the second round. Round two will be a head-to-head race up the hill, with all of the riders setting off at the same time, with the winner of each heat going through again until an eventual winner is found. Also on November 3, CC Sudbury host their annual climb near Semer, starting at 11am. The organizers are hoping to have closed-road racing again this year to avoid problematic horse-box delays. Rapha Condor JLT have announced three new signings for the 2014 season including Chris Opie, two-time winner at the 2012 Tour Series. The 26-year-old has signed from Team UK Youth and is joined by Tom Moses at the Men In Black alongside promoted junior Jack Sadler. Team Manager John Herety feels that the three new acquisitions will fit nicely within the squad and that Opie in particular has the ability to compete at international level next season. “These riders fit in very well with the ambition of this team and our overall focus on the development of talented riders,” he said. Moses is another rider who has impressed Herety after a successful season with Raleigh this year. “Tom is a rider that we’ve seen this year win at the highest national level,” added Herety. The 2013 Rapha Super Cross Series concludes this Sunday at London’s Alexandra Palace with another day of foam based cycling fun. Things kick off at 10.30am with the U10 race building up to the Elites at 13.45pm and the Fun Race at 3.30pm. Obstacles such as the ‘Spiral of Doom’, the ‘Tequila Shortcut’ and the ‘Wall of Foam’ await the Fun Race riders in this mud-filled event. Entry for spectators is free and they’ll be treated to live music, Belgium beer, waffles and chips as well as drumming up the atmosphere with hundreds of cow bells. In the Elite racing, Paul Oldham comes to London fresh off the back of victories in Skipton and Manchester last weekend. Oldham will be looking to lead Hope Factory Racing to their third consecutive elite team crown after triumphs in 2011 and 2012. For the women, Annie Simpson is expected to feature highly in the women’s event again after also scooping a double win last week.